The Gotham Chamber Opera is the nation's foremost opera company dedicated to producing rarely-performed chamber operas from the Baroque era to the present. 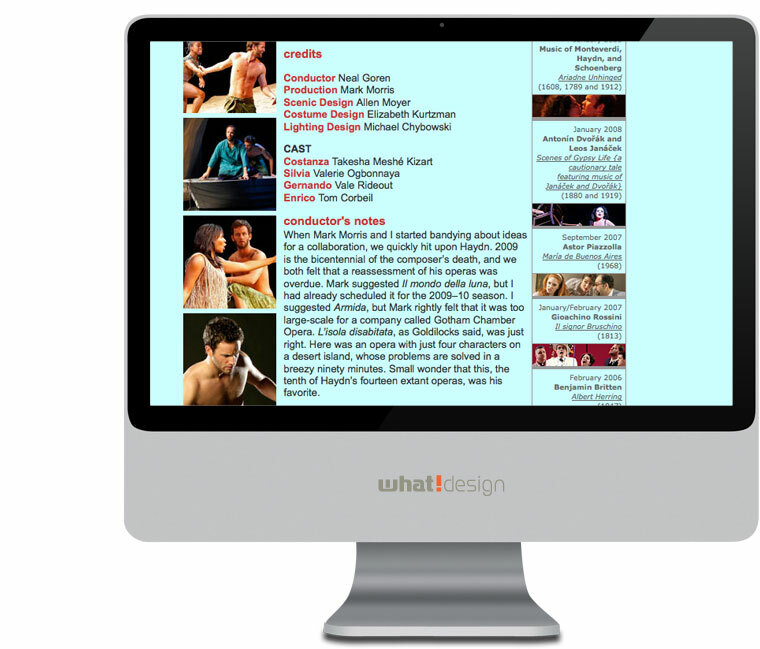 Their mission is to present innovative, fully-staged productions of the highest quality in intimate venues. 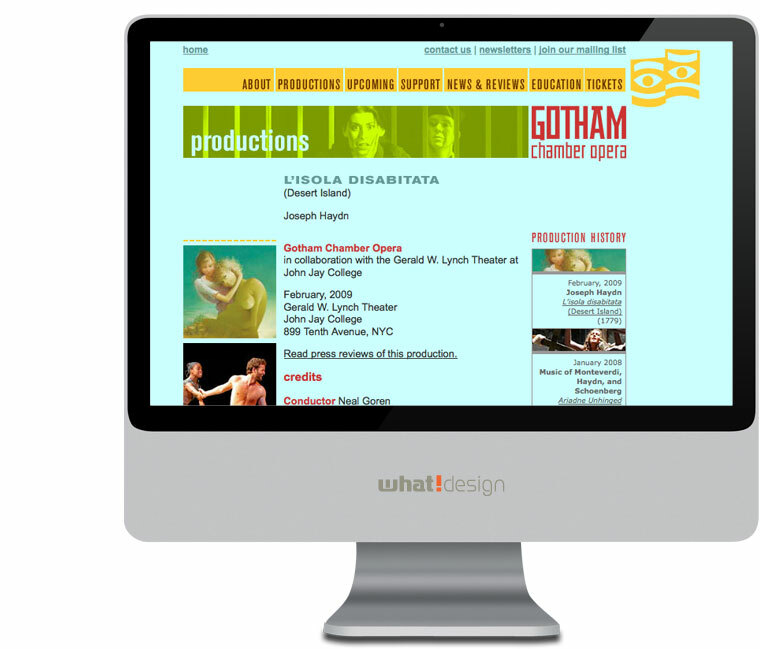 Gotham Chamber Opera's unique productions required an avant garde approach. An in tune identity brought down the house. Stationery and programs brought the craftsman's of the past to the thinking of the future for a look and feel that sing the attitude of the Gotham Chamber Opera. 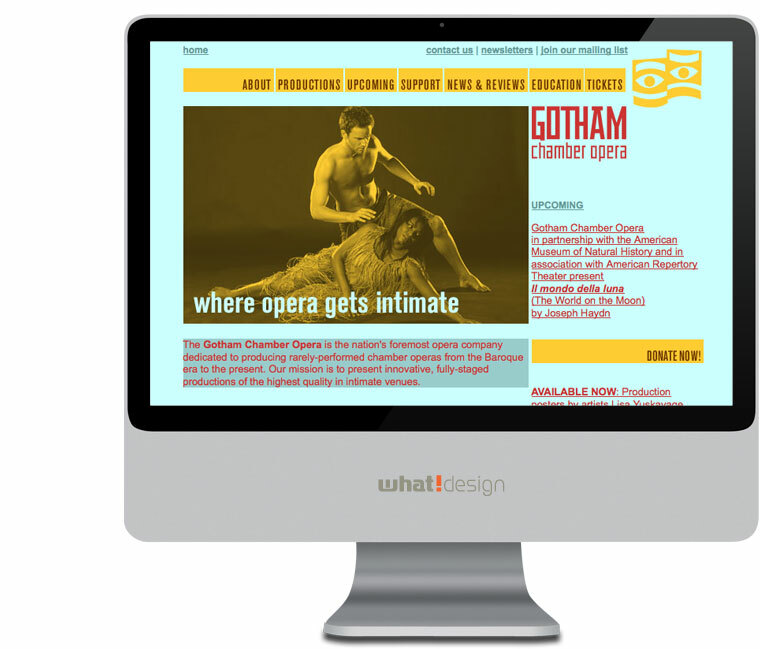 Gotham Chamber Opera online. Launch website.